Cllr Madge is a member of the Labour Party and a member of Unite Union. He is school governor at Ysgol y Bedol primary school in Garnant. He was elected to Cwmamman Town Council in 1979 and has been Town Mayor of Cwmamman on 5 occasions. He served on the former Dinefwr Borough Council from 1987-96 and was elected on to Carmarthenshire County Council in 1995 where he remains. 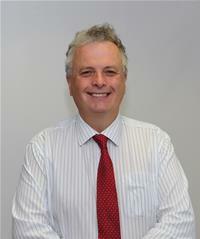 He was Vice chair of policy from 1996-99, Board member for Health & Social Care 2004-2008 and Deputy Leader 2008-12 and Leader of Carmarthenshire County 2012-15. During this period he was an Agent and researcher to a member of Parliament on two occasions. In addition he has been a member of the Welsh Local Government Association 2008-15, elected WLGA Deputy Presiding officer 2012-15 and Deputy Spokesperson on the WLGA for Social Care in Wales 2012-15. Cllr Madge has been a member of the following bodies, Carmarthenshire Community Health Council, West Wales Flood Defence Committee, member of Carmarthenshire Local Health Board, also Dyfed Powys Police Authority and a member of Mid and West Wales Fire and Rescue Authority, he was recently appointed as a Carmarthenshire County Council representative on Brecon Beacons National Park Authority in February 2018.